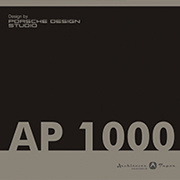 In 2012, Architects Paper launched the AP 1000 collection – Design by Porsche Design Studio. 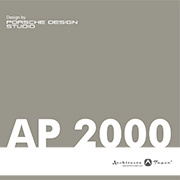 Porsche Design Studio's wallpaper designs are unmistakeably unique: Embossed structures with a metallic effect, brushed aluminium looks and sophisticated delicate lines are its hallmark. The details reflect their technical roots. Masculine colours in black, white, metallic silver and different shades of beige and anthracite convey a sense of elegance and high quality. Striking contrasts set strong colour accents, structure the room and open up a new style.